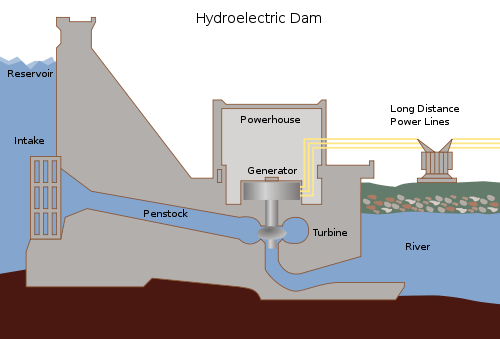 Hydroelectricity is generated when water spins a turbine connected to an electric generator. 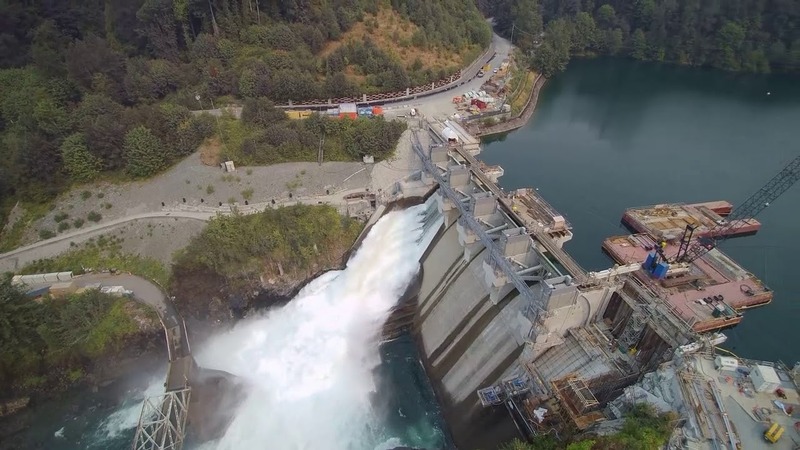 Most of the electricity in BC comes from hydroelectricity. A hydroelectric dam has an intake that controls how much water flows past the turbine. This control ensures that the turbine spins continuously without hiccups. The spinning turbine rotates the shaft connected to the generator, which has a large copper wire moving past a large magnet at very high speeds. This generates electricity. The electricity moves along wires connected to power lines that transmit the electricity from the generating stations to towns and cities. It may not seem like it would make a big difference, but the angle of the penstock also determines the speed of the turbine. The steeper the angle of the penstock, the faster the turbine will spin and the more electricity will be generated. But the penstock also needs to run smoothly down -- otherwise, sediment or air can get trapped, making the turbine stall or hiccup. 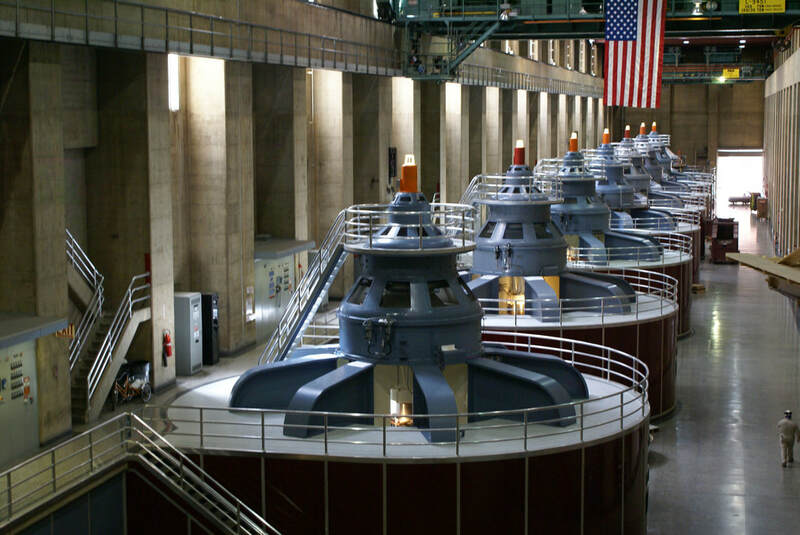 In the image below, you can see the generators inside the Hoover Dam. The man walking next to them gives you an idea of size. Not all generators are giant like the one in the picture. In fact, individual households and businesses can also generate their own power and go "off the grid" as long as they have a source of running water. 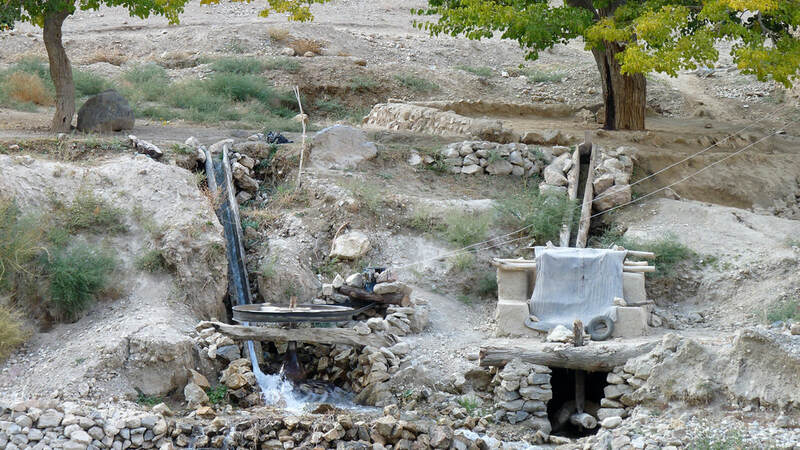 This way of generating electricity is called micro-hydro. There are an infinite number of micro-hydro generator designs; all of them follow the same idea of the large generators in the dams, however. They use a moving wire next to a magnet at high speeds to generate electricity. And finally, there are also mid-sized hydroelectric dams, not the size of a large dam and not as small as a micro-hydro; these are powerful enough to generate electricity for a small community. 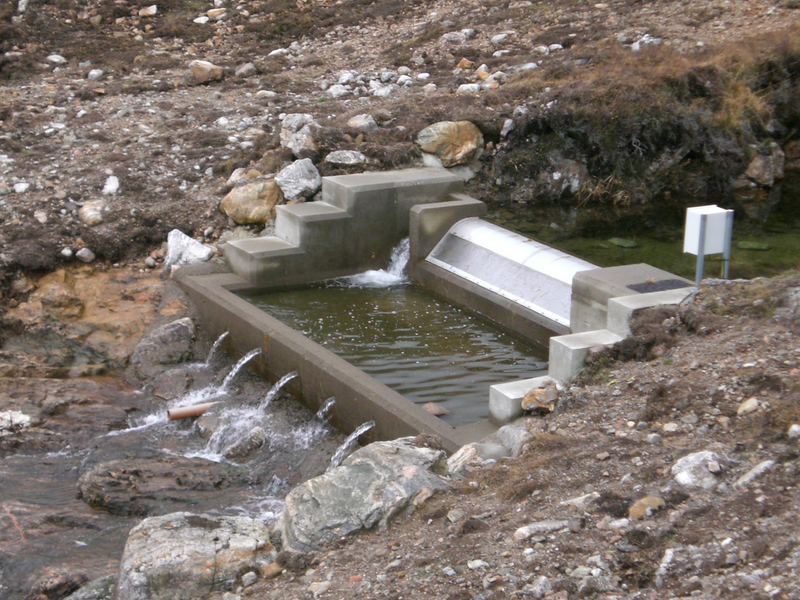 As they operate using the natural slope of a river, they do not usually require a large reservoir. They are called run of river hydroelectric dams. 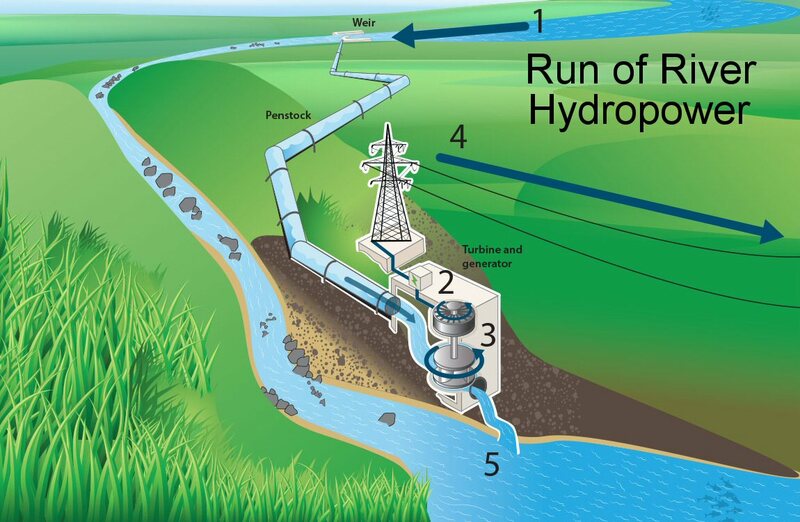 Hydroelectricity is an example of renewable energy. This type of energy comes from natural resources that do not get used up after generating power. When you use wind, for instance, the wind is still out there, unlike coal or fossil fuels. Solar power and steam are also considered renewable natural resources. Hydroelectricity utilizes water, which is a renewable resource, although creating dams on rivers to make large reservoirs of water or diverting water courses can cause issues of their own. One of these issues is the release of greenhouse gases, such as carbon dioxide, which are gases in the atmosphere that contribute to climate change -- effectively creating a greenhouse around us, trapping the heat and warming up the planet. These gases come from the manufacturing of the dam, but also from the flooding of large areas of land. When plants and animals die, they decompose, releasing these gases in large quantities. Another issue is the displacement of human populations. Many of the areas affected by dam construction are located in First People's land, which uproots the population out of their ancestor's land and creates a social and emotional impact. In 2015, construction started on the Site C dam on Peace River. The dam project will be completed in 2024, and it will affect the whole environment and land around it. Can you think of ways the landscape will change, and how it may affect the wildlife in and around the river? To minimize effects to the fish in the rivers, one of the things proposed for the Site C Dam is a trap-and-haul system -- a multi-million dollar fish ladder leading to a fish pool, where fish can be loaded into trucks and re-released upstream. This may seem like a strange solution; however, it has been used across North America and it is shown to minimize the environmental impact on rivers and fish population. In conclusion, hydroelectric power utilizes a renewable resource which is available all year long and it is overall reliable. This makes it sustainable. However, it does have its own set of issues. As our population continues to grow, we need to find ways to generate electricity with minimal impact to the environment, if we are to keep living on our planet for a long time. 1. Research the Site C dam project, and identify as many different perspectives as possible. Make sure you have information and sources on all of your perspectives. 2. What social, ethical and environmental implications of the dam can you identify in your sources? 3. Identify any biases in your sources. Did they make you skeptical about any of the claims? Do you have any biases about this particular project?